Dried Fruit: What Should You Know? 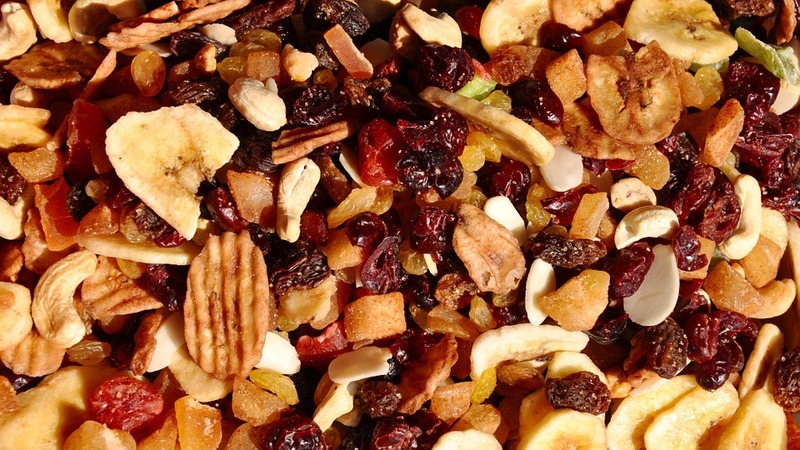 You can add dried fruit to salads, oatmeal or deserts. It will certainly make your food even more delicious and healthy. However, the healthiest part depends on the kind of dried fruit you choose. Let’s not forget that dried fruit has a reputation of being loaded with sugar, but if you choose the right one, it can be a healthy addition to your everyday diet. To limit carbs and sugar, you should watch your portion size. When a fruit is dried, it obviously shrinks considerably. That’s the main reason why you should not have more than a quarter cup of dried fruit, which is considered one serving. Also, some dried fruits are simply dehydrated, and nothing is added to it. While others are mixed with sugar and artificial preservatives. The best thing to do when buying dried fruits is reading the ingredient list. The healthiest dried fruits have only one ingredient, the dried fruit itself. This type of dried fruit is as good as a fresh fruit. The only difference is a shrunken portion size and the drying process preserves nutrients, therefore, dried fruits are rich in vitamins, fibers, antioxidants and vitamins. Again, a quarter cup should be your daily measure. Another thing you should consider is dried fruit can be bitter and often a sweetener may be added for a more balanced flavor. Unfortunately, sometimes dried fruits are high in refined sugar, corn syrup and artificial sweeteners. Organic and without any additional ingredients is the best way to go when it comes to dried fruits. Long-term exposure to pollution can have permanent health effects on adults and children, such as accelerated aging of the lungs, asthma, emphysema, bronchitis, and cancer. Recently, the World Health Organization made an urgent call to action to reduce air pollution to protect children’s health. Even healthy adults can experience impacts from polluted air such as respiratory irritation on breathing during any outdoor activities and exercise. The risk depends on current health status, the type and concentration of pollution, the length of exposure to the polluted air and age. Some of the main health issues are cardiovascular and respiratory illnesses, stress to the lungs and heart and damaged cells in the respiratory system. Long-term exposure can have permanent health effects on adults and children such as accelerated aging of the lungs, asthma, emphysema, bronchitis, and cancer. Children who are most susceptible to health issues caused by air pollution are those with coronary artery disease, heart disease, asthma and children under age 14. Children who are under age 14 are more prone to develop chronic respiratory disease when exposed to air pollution. Almost 1.8 billion children are under the possible effect of having a health issue due to being exposed to air pollution. Researchers found that small post-meal walks are even more efficient than a single 45-minute walk. Why We Should Take a Walk after Lunch? After a long day at work, it’s easy to just dive into social media and Netflix while eating your favorite meal. However, before spending your time in front of the screen and eating more than you need, consider having a dinner without technology and going for a walk with your friend, dog, family member or alone. If you don’t feel like walking and you have a treadmill then you have no excuses left. A recent research found that after adults who were at risk of type 2 diabetes walked on a treadmill for at least 15 minutes after a meal, they had lower blood sugar spikes in the hours afterward. Researchers found that these small post-meal walks are even more efficient than a single 45-minute walk that you can take during the day or late afternoon.